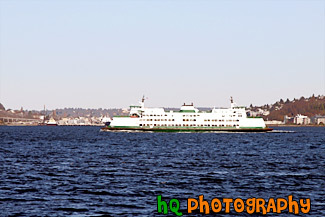 A scenic picture taken of a Seattle ferry boat in the Puget Sound of Washington state on a sunny day. 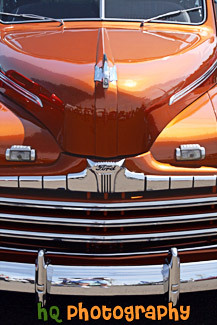 A close up vertical picture taken of the front grill of the classic 1955 Packard Patrician car. 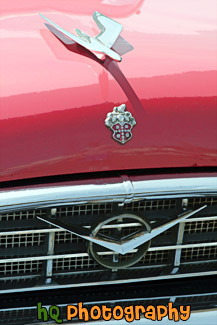 This car is pink in color and you can see the Packard emblem close up. 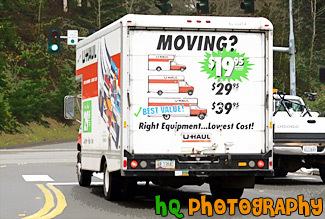 A close up picture taken of the back end of a black Ford Escape Limited Edition just after a car wash.
A close up picture taken of the back of a Uhaul moving truck which is stopped at a stoplight that has just turned green. 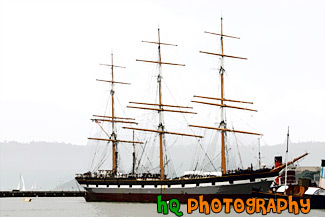 A scenic picture taken of the beautiful Balclutha boat located in the San Francisco bay with Alcatraz Island seen in the background. 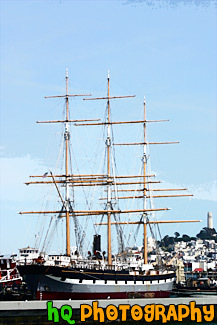 The ship was transferred to the National Park Service in 1978, and Balclutha was designated a National Historic Landmark in 1985. 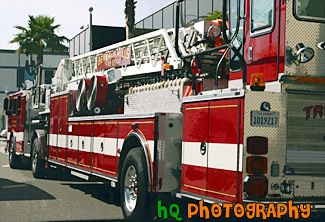 A scenic picture taken of a Fire Truck in downtown Beverly Hills, California. The fire truck says "Beverly Hills" on the sign on the ladder of the truck. 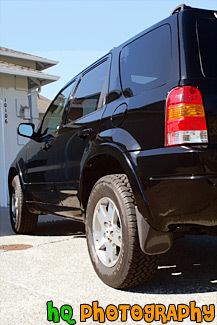 A close up vertical picture taken of the back side of a black sports utility vehicle (SUV) with blue sky seen in the background. 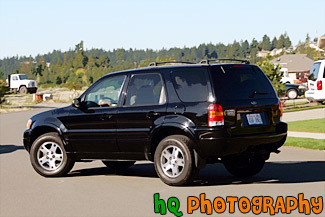 A close up picture taken of a 2003 black Ford Escape SUV turning around on the road. 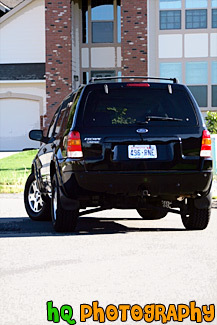 A close up vertical picture taken of a black SUV (Ford Escape) driving around a corner in a residential area. 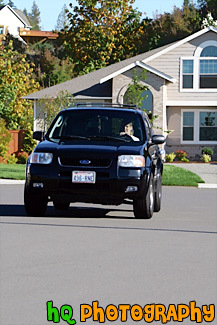 This photo is taken from behind the SUV as it is driving away. 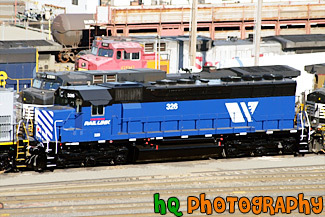 A scenic picture taken looking down at a blue train located in downtown Tacoma, Washington on a sunny day. 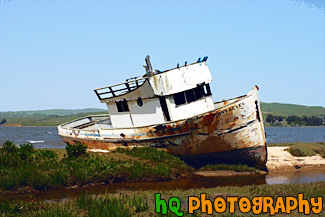 A scenic picture taken of an old boat with the words "Point Reyes" on it taken near Point Reyes, California in Marin County. 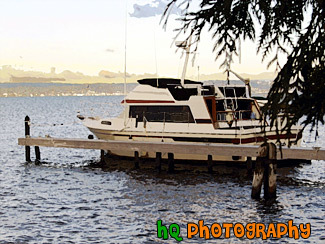 A scenic picture taken close up of a beautiful boat located in Seattle's Lake Union. 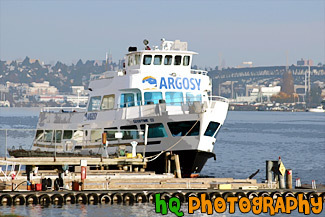 This white boat has the word "Argosy" written on the front of the boat and is sitting close to the shore by the dock with a line of tires on the outside. 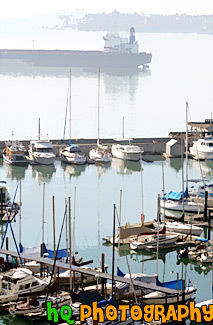 A scenic picture taken of many sailboats located in Commencement Bay in Tacoma, Washington. 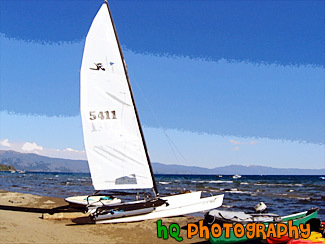 In this picture you can see the sailboat's reflections in the water. 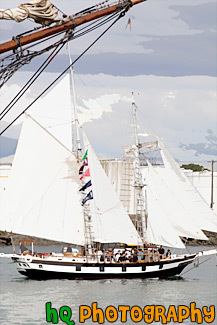 A scenic vertical picture taken of the Bounty Tall Ship which came to the Tall Ships Festival in Tacoma Washington during the 4th of July weekend. 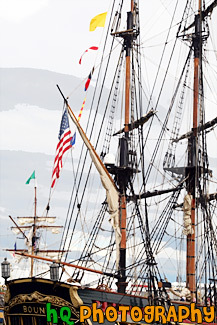 A scenic vertical picture taken close up of a Tall Ship located in Tacoma, Washington during the 4th of July Tall Ships Festival. 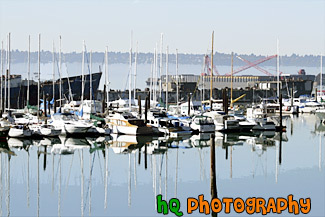 A scenic picture taken close up of some sailboats and their reflection seen in the water at Commencement Bay located in Tacoma, Washignton. 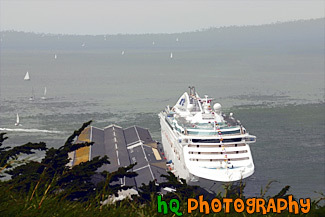 A scenic picture taken of a huge cruise ship located at the shore in the San Francisco Bay in California. 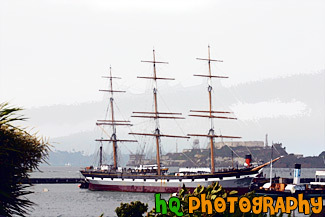 In this picture you can also see many sailboats floating in the bay on this cloudy day. 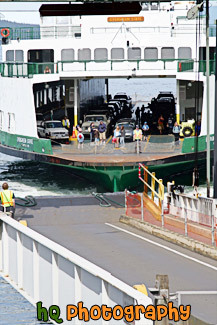 A scenic picture on board the Elwha Ferry Boat which travels from Anacortes to Friday Harbor and the San Juan Islands. 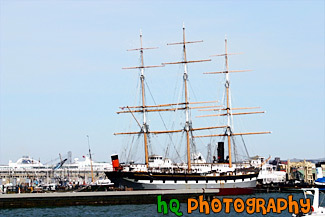 This photo was taken on a blue sky day. 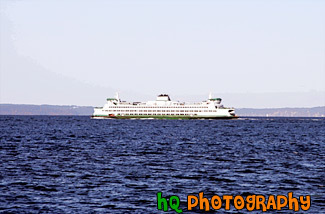 A scenic picture taken of a single ferry boat in the Puget Sound of Washington state on a sunny day. 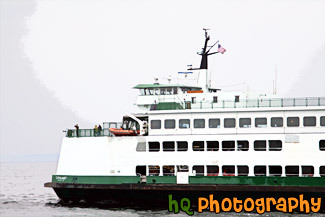 A scenic picture taken of a Mukilteo, Washington ferry boat on a cloudy day. 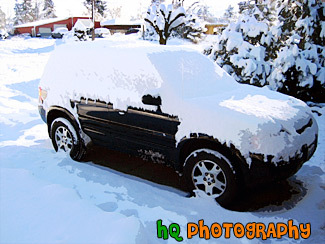 A scenic picture taken of a Ford Escape covered in snow after a snow storm in Enumclaw, Washington. 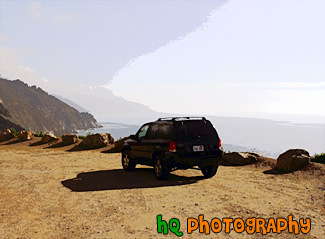 A scenic picture taken of a 2003 Ford Escape located on a dirt road close to the cliff by the coast of the Pacific Ocean on California's coast. 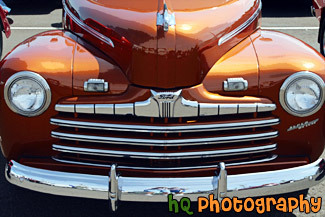 A close up vertical picture taken on an old Ford orange Super Deluxe truck. 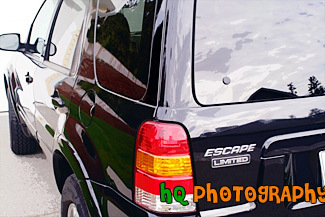 In this photo you can see the front grill and hood. 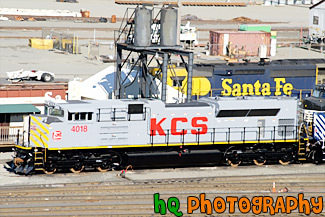 A scenic picture looking down at an angle at a gray train with yellow trimming on tracks located in downtown Tacoma, Washington. 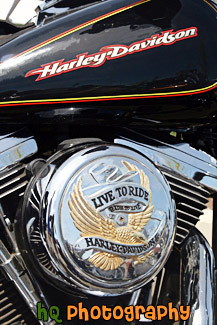 A close up vertical picture taken of the Harley Davidson Live to Ride text on the side of a black Harley Davidson motorcycle. 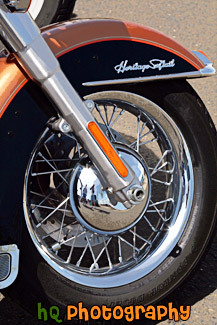 A close up vertical picture taken of a Harley Davidson motorcycle tire. 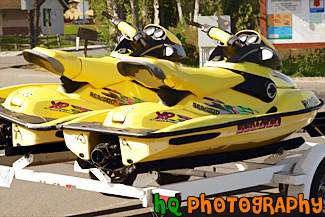 A close up picture of two yellow Seadoos parked on land. 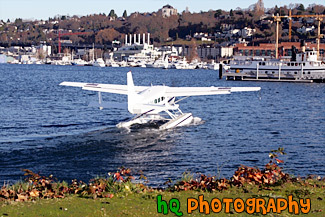 A scenic picture taken of a plane boat getting ready to take off in Lake Union which is located in Seattle, Washington. 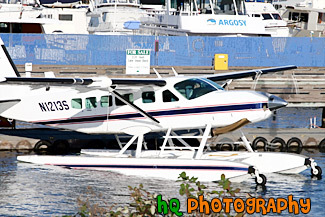 A close up picture taken of a plane boat starting up as you can see the propeller in motion. 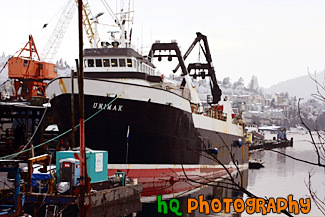 This photo was taken in Lake Union in Seattle, Washington. 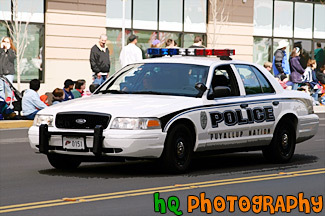 A scenic close up picture taken of a police car located in a downtown Tacoma, Washington parade with people on the streets watching. 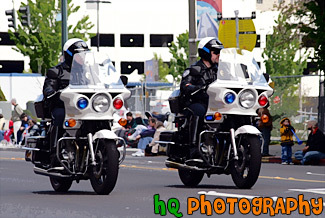 A close up picture taken of two policeman riding motorcycles in a parade in downtown Tacoma, Washington. 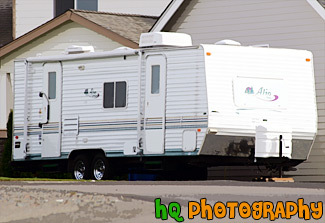 A close up picture taken of a white recreation vehicle (RV) which is sitting in the back behind someone's house. Recreation vehicles are a popular way to get away for a weekend trip without having to worry about hotels or a place to stay. 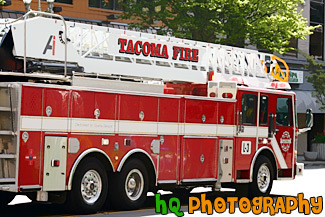 A close up picture taken of a red city of Tacoma, Washington fire truck located in downtown Tacoma during the annual spring Daffodil Parade. 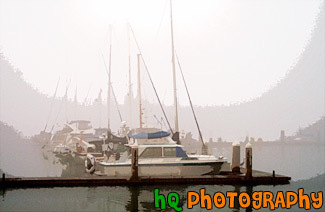 A scenic picture taken of a row of sailboats in foggy weather. 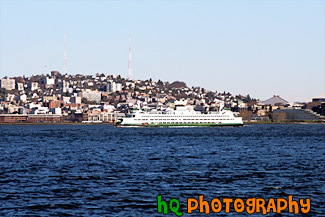 This photo was taken in the Commencement Bay of Tacoma, Washington. 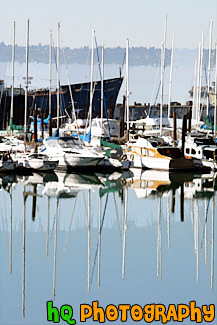 A scenic vertical picture taken of sailboats and their reflections seen in the water. 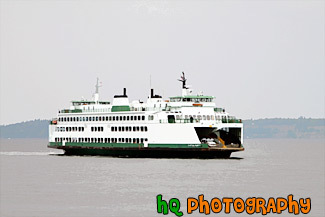 This picture was taken in Tacoma, Washington and the boats are located in Commencement Bay. 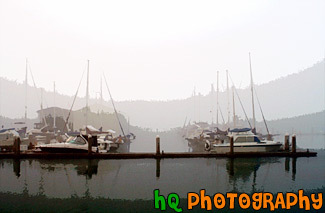 A scenic picture taken of some sailboats located in Commencement Bay on a foggy day in Tacoma, Washington. 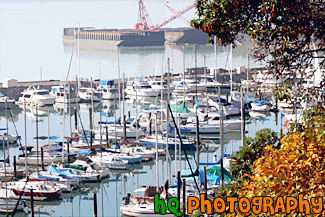 A scenic picture taken close up of a bunch of sailboats located in Commencement Bay in Tacoma, Washington. 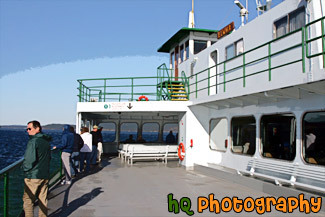 This photo was taken during the fall season as you can see the leaves of the tree changing color in the foreground. 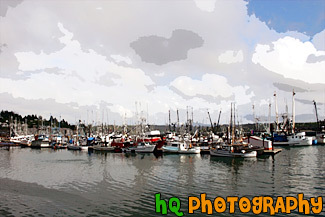 A scenic picture taken of a bunch of sailboats located in the water along the coast at Newport, Oregon. In this picture you can see the partly cloudy skies with the big puffy clouds. 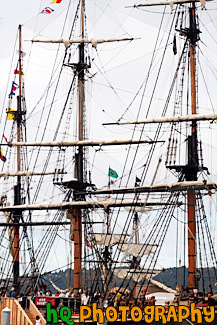 Newport was etablished in 1882 and is now a bustling coastal community of over 9,000 people. 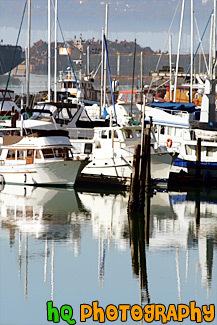 It's heart is along a working waterfront on Yaquina Bay where fishing fleets and fresh seafood markets coexist with galleries, gift shops, restaurants and family attractions. 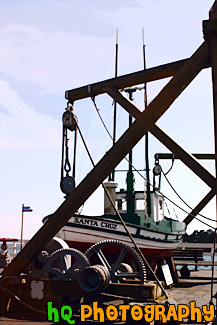 A scenic picture taken of a boat statue/structure located on the warf in Santa Cruz, California. On the boat the words "Santa Cruz" are seen. 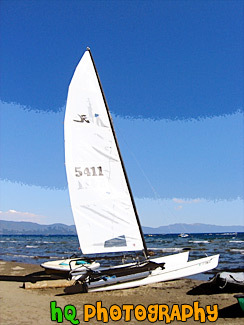 This photo was taken on a sunny day at the beach. Santa Cruz is a popular beach hangout and tourist attraction along the Californian coast. 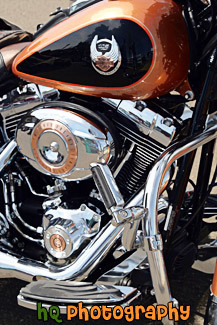 A close up vertical picture taken of the side of a Harley Davidson motorcycle engine. 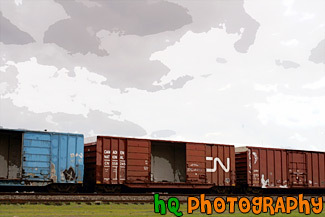 A scenic picture taken of the side of a train with scenic clouds in the sky. 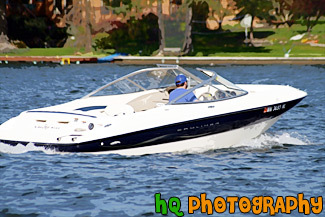 A close up picture taken of a white and blue speed boat located in a lake in Washington State. 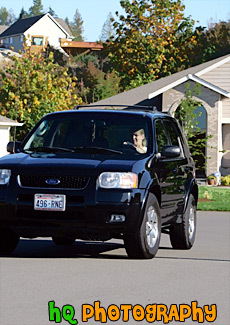 A close up vertical picture taken of the front of a black sports utility vehicle (Ford Escape) driving on the road in a residential area. 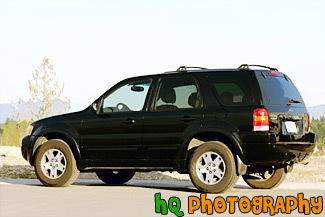 A vertical picture taken of a black SUV (Ford Escape) driving on the road towards the photographer. This is a photo of the front of the vehicle. 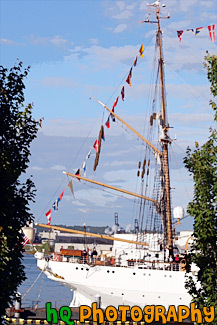 A scenic vertical picture taken of a tall white ship located at the Tall Ships Festival in Tacoma, Washington during the 4th of July Freedom Fair. 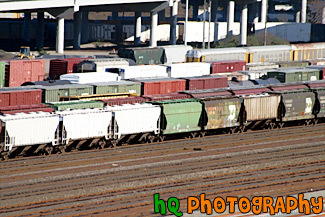 A scenic picture looking down at an angle at a bunch of train cars located on tracks in downtown Tacoma, Washington.